As the calendar quickly motors through the month of October, many people shift their attention to the final day of the month. For Americans, this means focusing on Halloween, which brings forth ghosts, ghouls, witches, and candy. In Mexico, however, the end of the month brings forth a different holiday: Dia De Los Muertos, or the Day of the Dead. 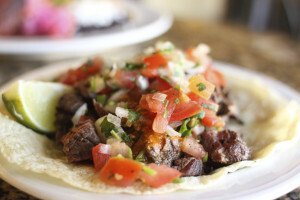 Tacos asadas, or steak tacos, are a tasty way to change up from the usual ground beef filling. Switching it up with steak adds a great source of protein as well as an opportunity for different flavors and seasonings. These Mexican steak tacos will add some juiciness and texture to your tacos and go well with some tortilla chips and salsa for a dinner party.